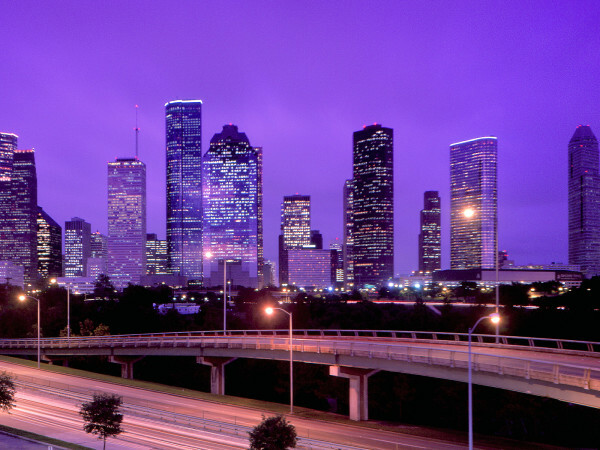 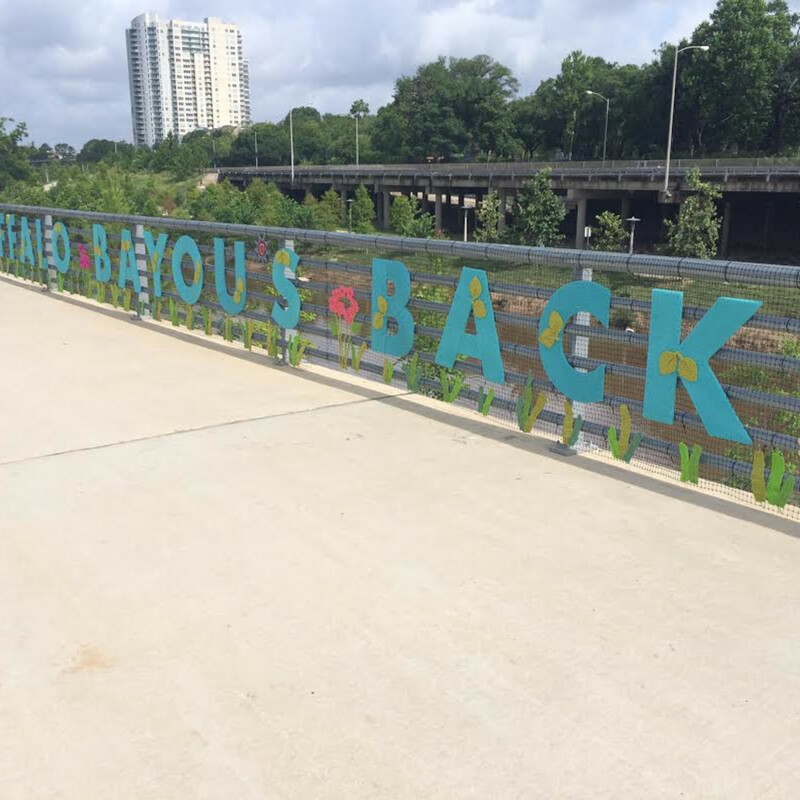 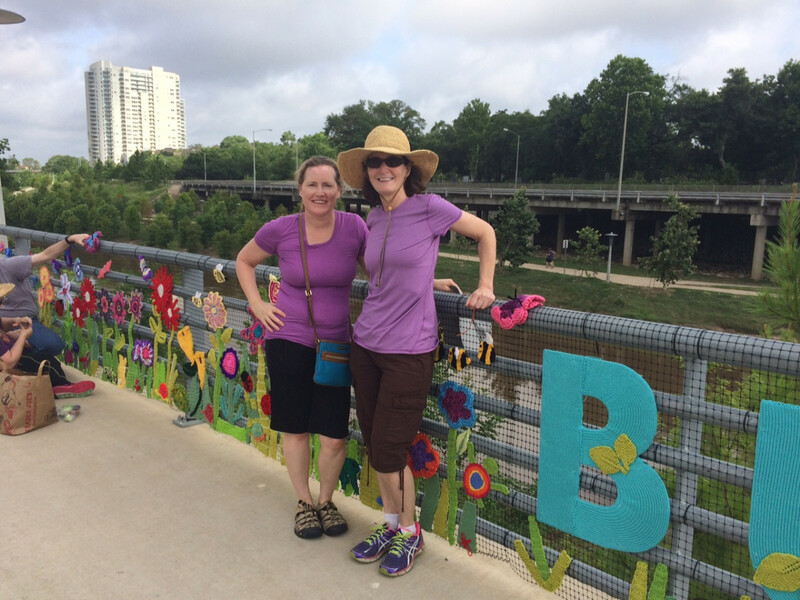 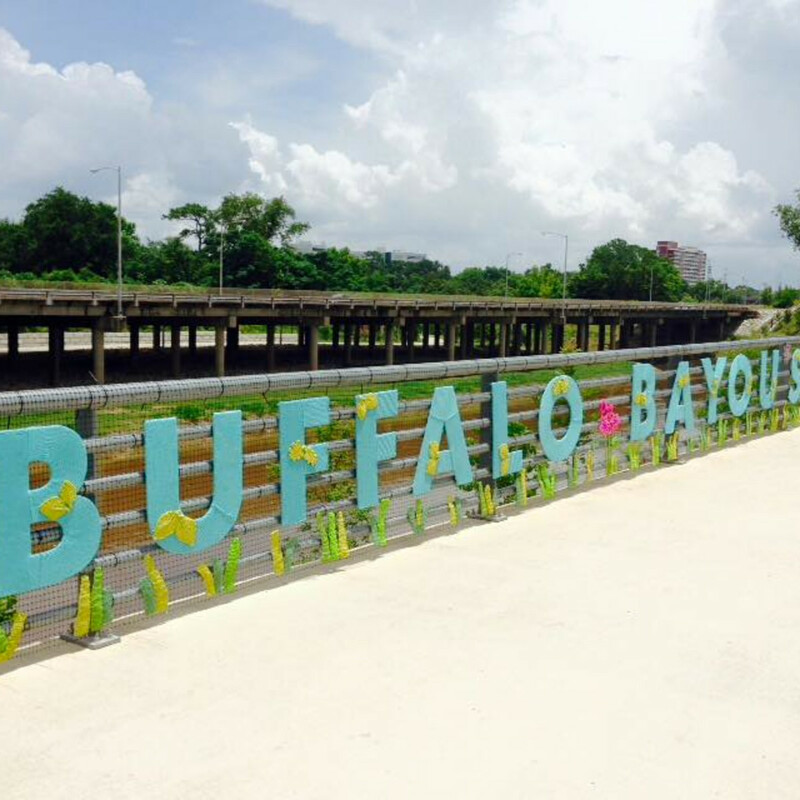 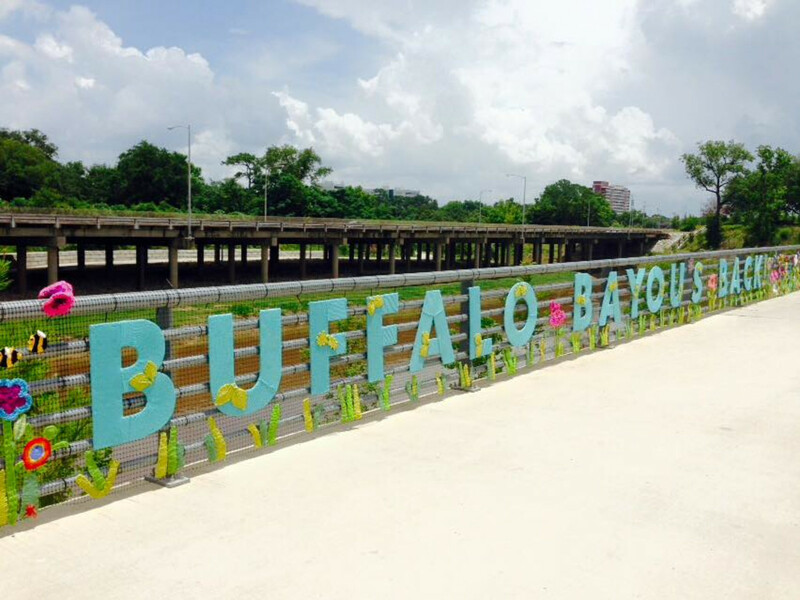 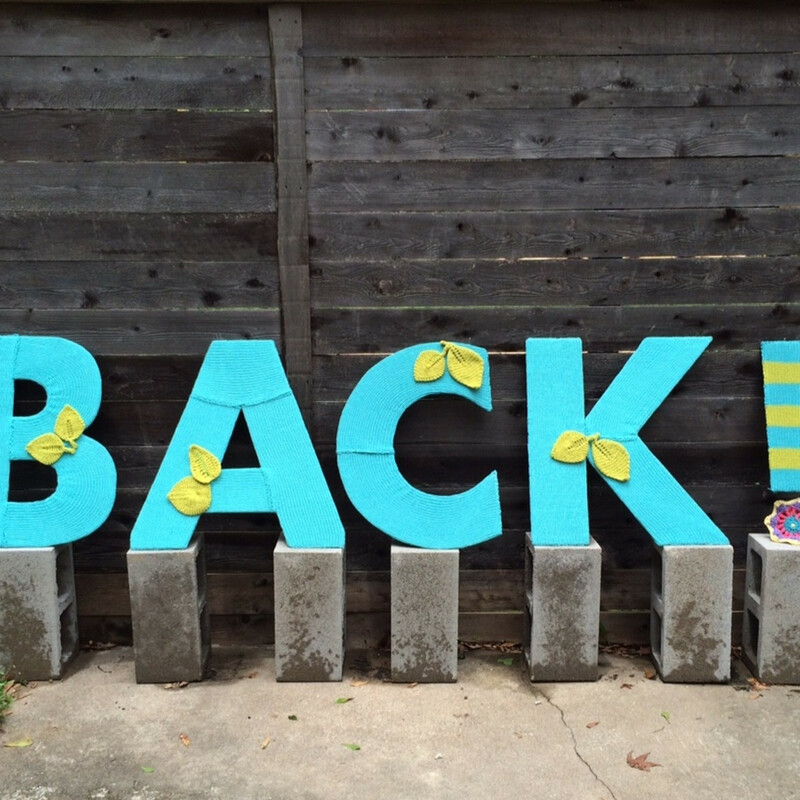 If you've been driving down Allen Parkway since the weekend, you've probably noticed a bright addition to the Buffalo Bayou Park scenery — a yarn bomb declaring "Buffalo Bayou Park's Back!" 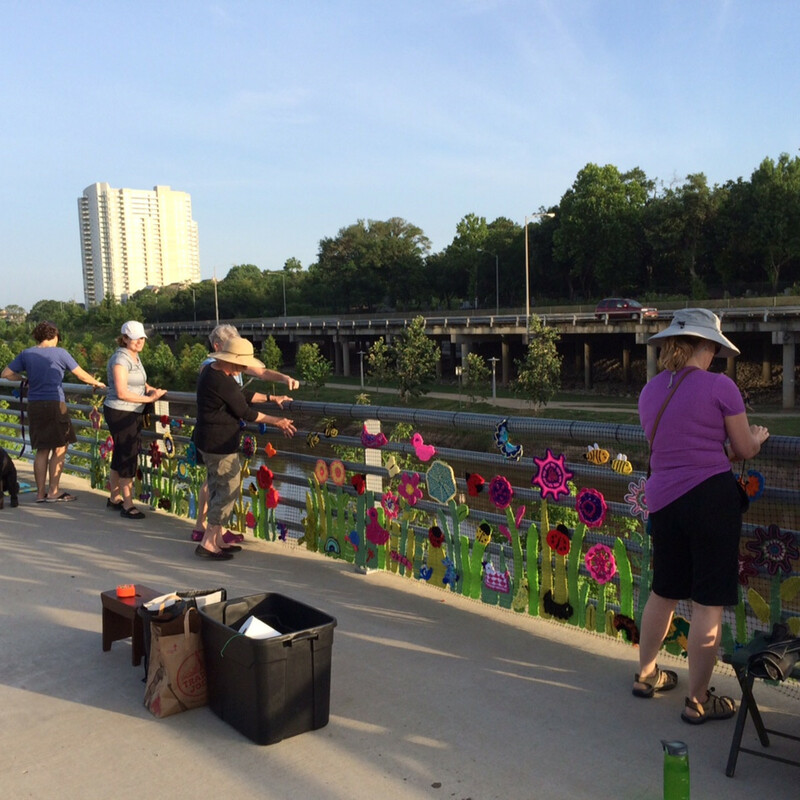 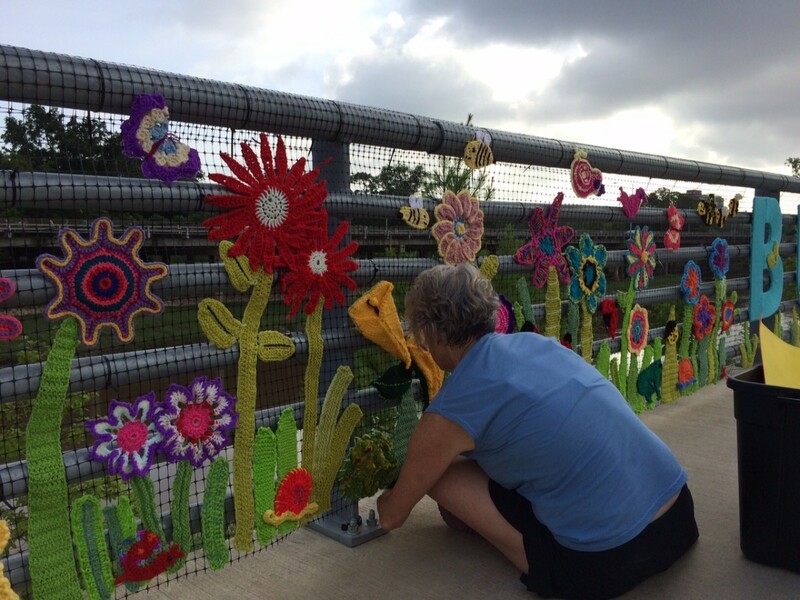 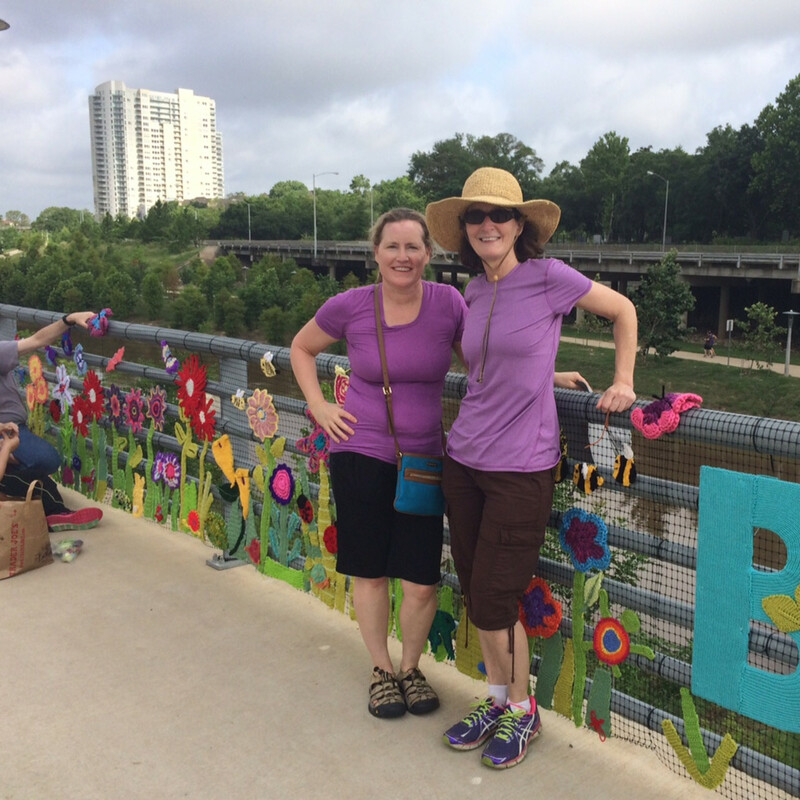 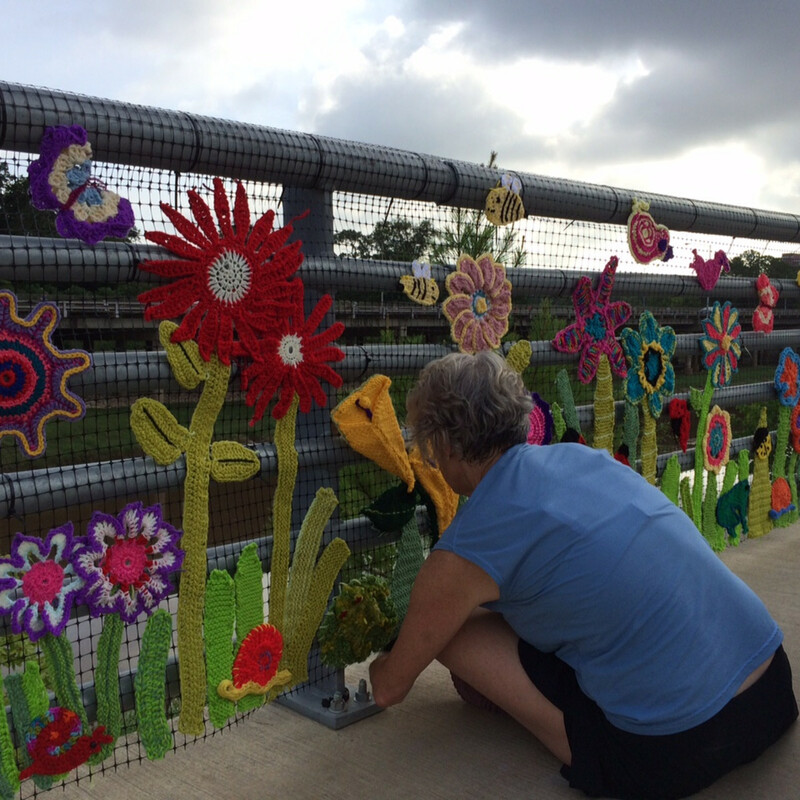 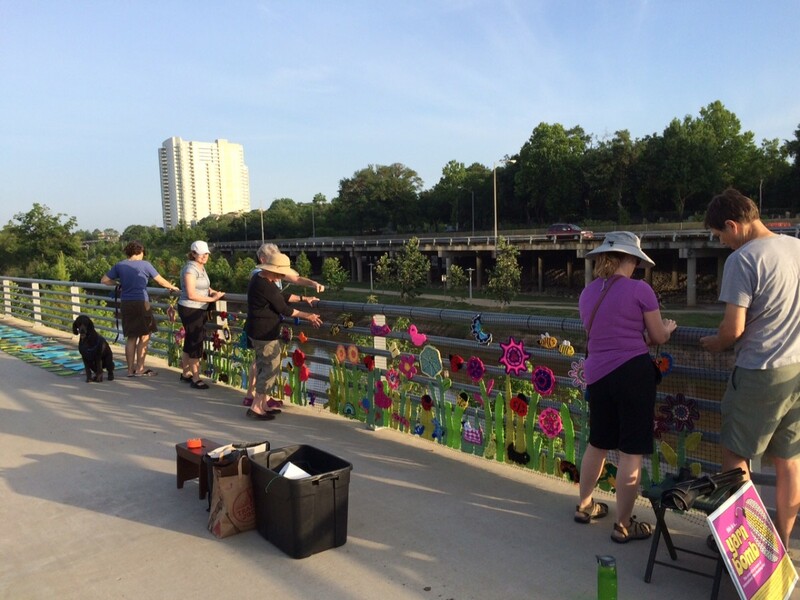 The 100-foot colorful extravaganza of crocheted and knitted flowers and greenery extends along the park railing at Allen Parkway and Taft. 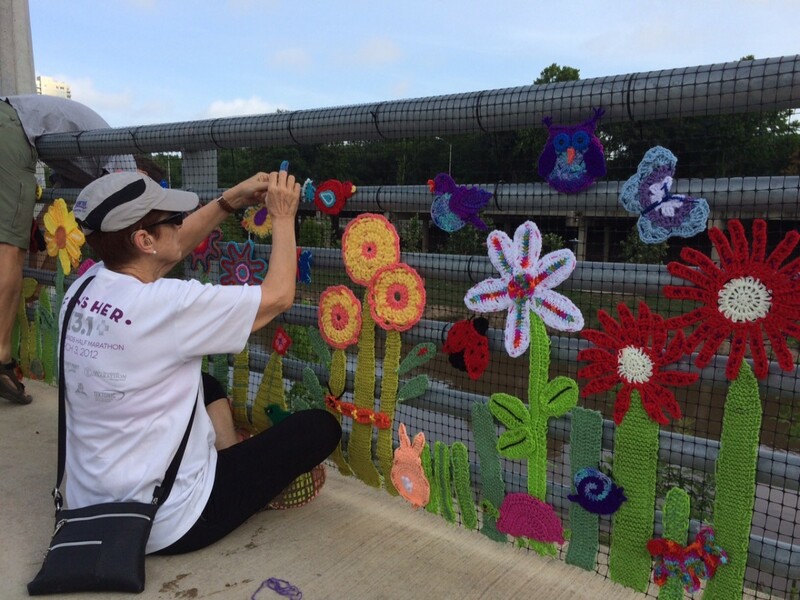 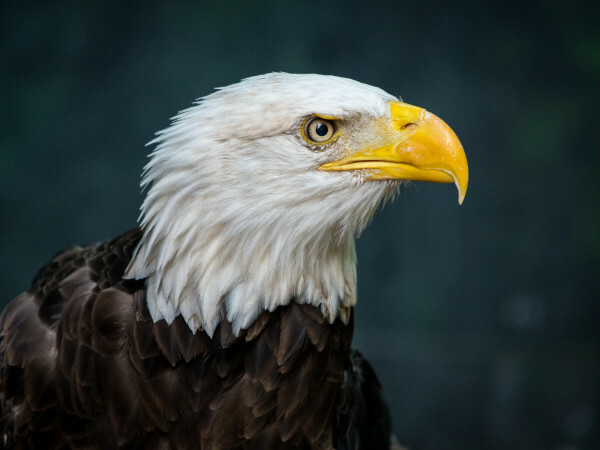 The brainchild of Mary Goldsby, landscape architect and Urban Yarnage founder, was inspired by the Memorial Day flooding and the park's quick return to usability. 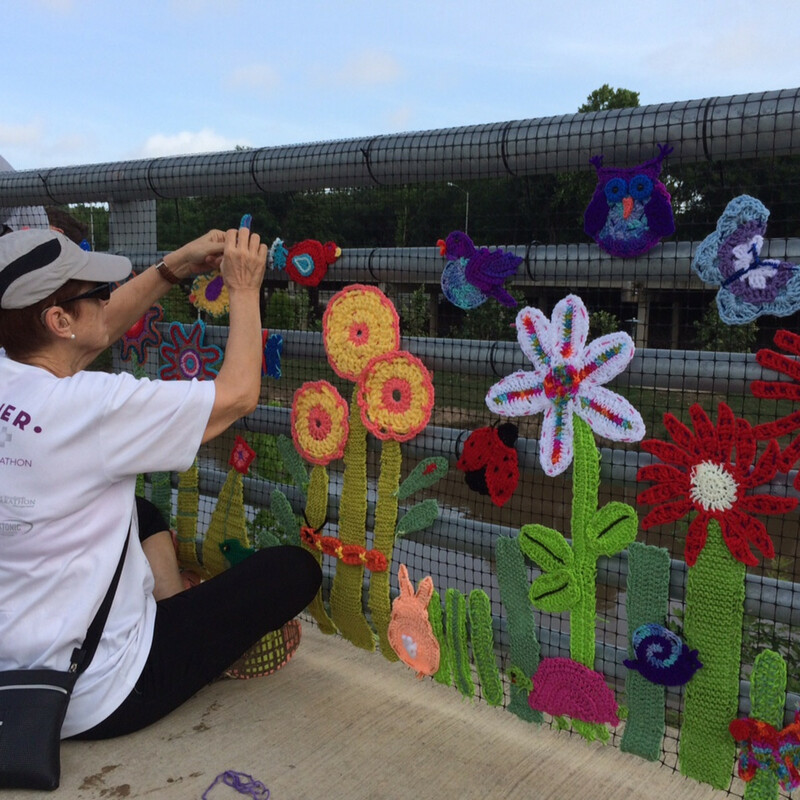 Urban Yarnage members, some 12 in all, worked for several weeks creating the nature scene that was installed on Saturday. 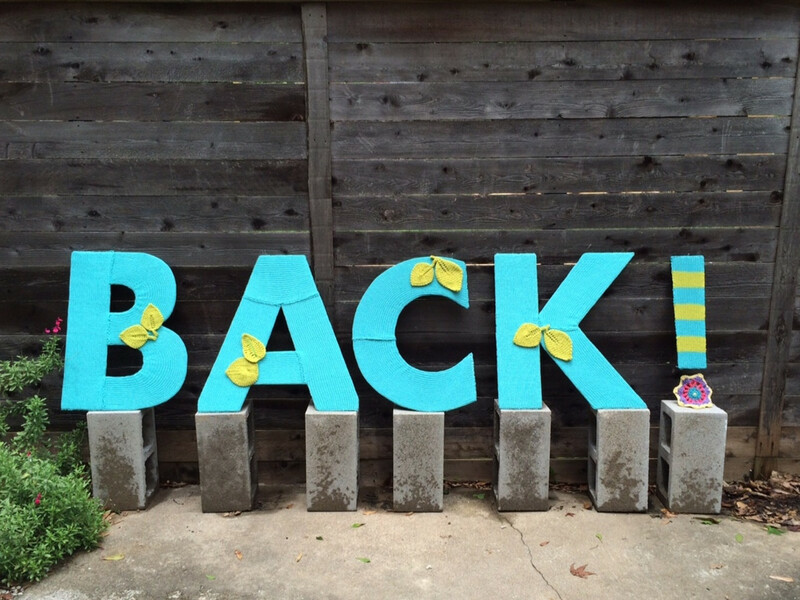 Better get there quickly though as the installation will be up for only two weeks or so. 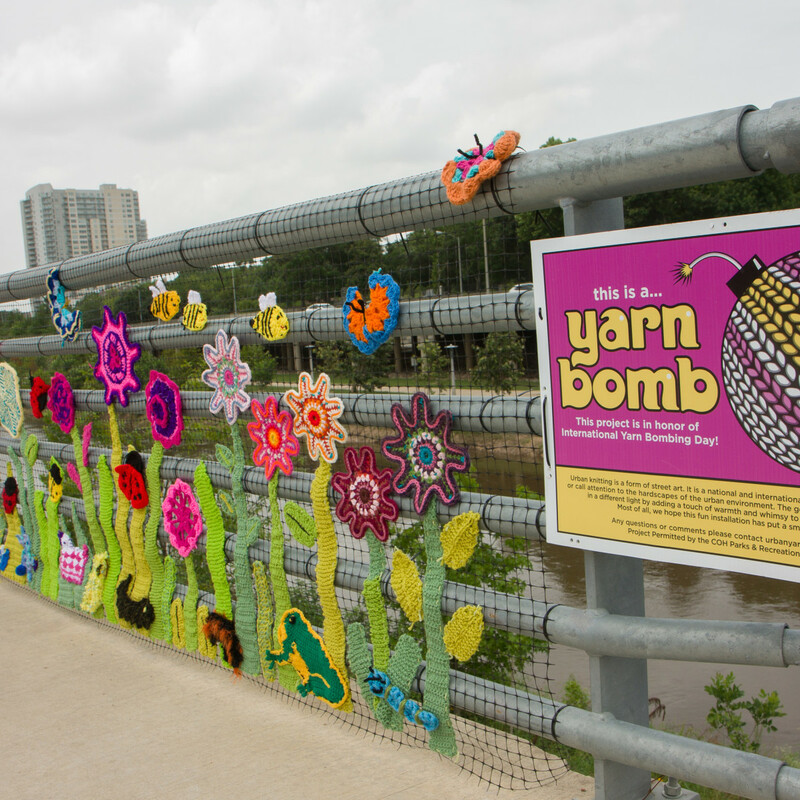 Urban Yarnage installs a yarn bomb each year around International Yarn Bomb Day. 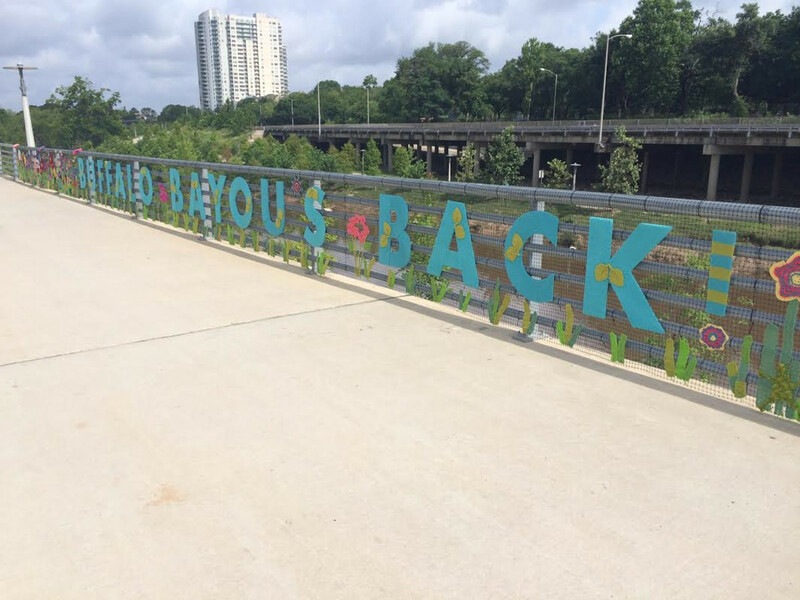 In 2014, the group created a "Travis-aurus" dinosaur for the playground at Travis Elementary in The Woodland Heights. 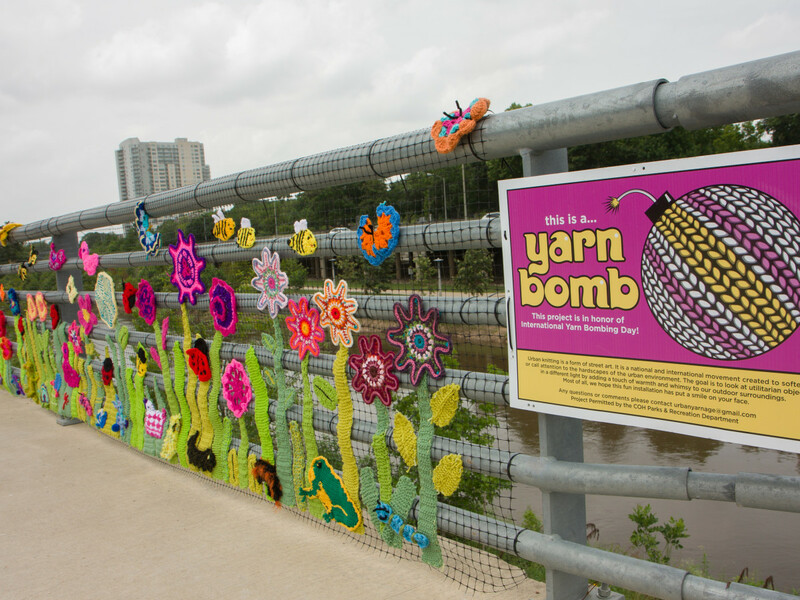 See images of yarn bomb projects around the world here.